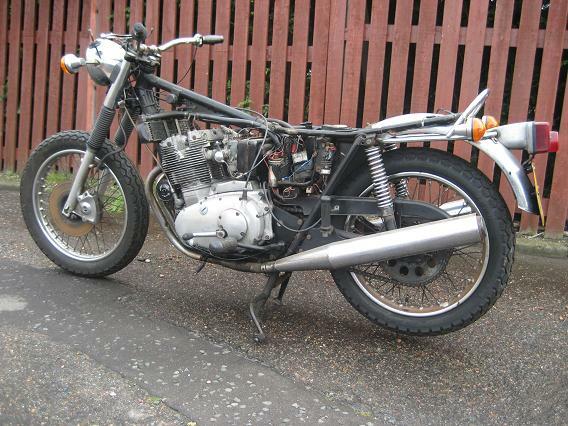 Massive stocks of new Triumph Motorcycle (Meriden) parts from the late 1930`s till late 1980`s just click on the links on the left hand side of the page to see all items in stock and in UK prices only postage to add. Bike is completely stripped cleaned and inspected, after discussions with owner on type spec that they want for there bike, ie type of rims, paint job, preference of tyres, type of silencers etc. An estimate of cost and time to complete work is prepared then when agreement is reached with owner, work commences, usually takes between 4 to 6 months for a complete renovation, done in 3 stages. 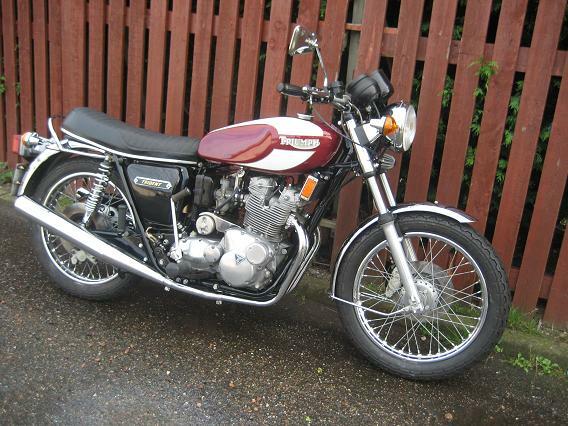 We have been working with British Motorcycles since the 1970`s,post war Triumph Twins are our favourites, having worked on 1000`s of them as well as numerous Tridents, Norton Commandos, BSA A7/A10,A50/65`s,B25`s,even Ariel Arrows, we live, breathe and understand British Motorcycles. 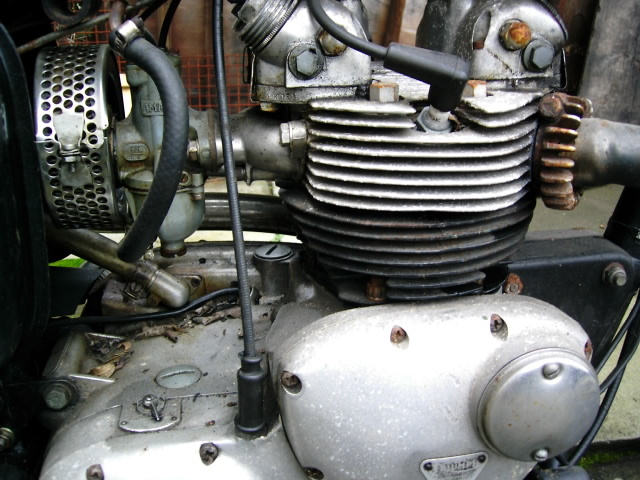 We do everything from a total restoration to a minor service, just send us an email with your requirements we can even arrange collection of your British Motorcycle and deliver it back. We are always busy, with a workload in excess of 1 year not uncommon. so its always best to plan ahead to get your job in the Q.
above quotes apply for parts supplied & fitted by us, parts not supplied by us will be charged accordantly. 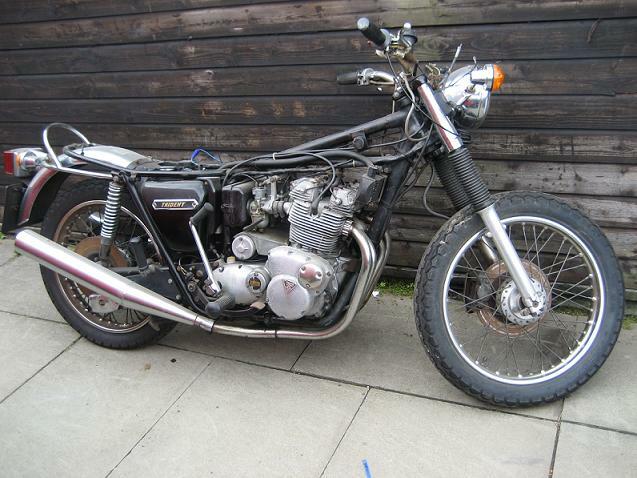 Please note we only work on pre 1986 British Motorcycles. 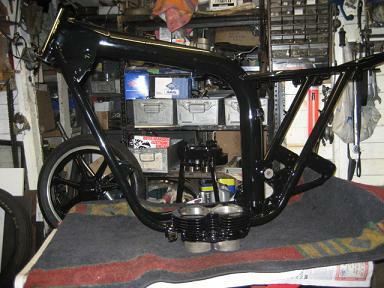 ( for fitting parts supplied by us),parts will be extra no Vat to add.